24 hours a day, 7 days a week with theses exceptions: Daily 10:00-11:00 p.m & Mondays 10:00 p.m. - 7:00 a.m. 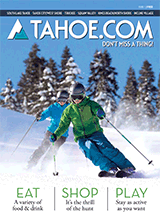 Established in 1985 & located in Lakeside Inn and Casino, The Timbers is a Tahoe local's go-to restaurant. Home of the popular $24.99 Prime Rib & Lobster meal and is open nearly 24/7 serving fantastic breakfast, lunch, dinner, and late night meals. The extensive menus feature traditional American fare and many unique and creative dishes. Dinner choices include flavorful seafood entrees, fresh fish, and juicy Certified Black Angus beef, all beautifully presented. Chef Alvaro creates unique daily lunch and dinner specials, including hearty homemade soups. The Timbers is home of the popular $24.99 Steak & Lobster meal. Open nearly 24/7 serving fantastic breakfast, lunch, dinner, and late night meals. Relaxing dining environment with open beam wooden ceilings coupled with contemporary decor. Accepting OpenTable reservations.